George Clinical’s Health Economics team provide an expert, bespoke, service to medical device and pharmaceutical companies who are increasingly expected to provide comprehensive evidence regarding the economic benefit of their product, not just efficacy and safety data. George Clinical’s Health Economics team provide an expert, customized service to medical device and pharmaceutical companies who are increasingly expected to provide comprehensive evidence regarding the economic benefit of their product, effectiveness and necessary health impact costs. As the levels of chronic illness increase globally and the technologies available for treatment become increasingly expensive, significant challenges emerge when addressing the economic burden of such illnesses. Programs to prevent, treat and provide long-term management of chronic disease and cancer often have profound economic implications for health sector budgets, as well as for individuals and households. Country regulators now also expect feedback on these costs as a normal practice for approved products. Those who produce pharmaceutical and medical device products are also expected to show evidence of economic benefit. This creates an imperative for sound economic evidence to inform investment of scarce health sector resources. Our Health Economics teams operate globally, yet have unique expertise throughout the Asia-Pacific region. To learn more about George Clinical’s Health Economics team can deliver an immediate impact to your study, please see here. George Clinical’s health economics services are led by Professor Stephen Jan from The George Institute for Global Health. 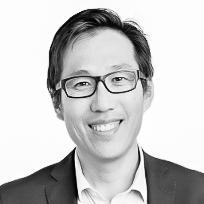 Stephen Jan is Head of the Health Economics and Process Evaluation Program at the George Institute for Global Health and Professor, Faculty of Medicine, UNSW Sydney.